The high-octane musical tour de force that took the Jersey Boys phenomenon to Broadwayand beyond, brings to life the greatest hits of the Sixties, rocking performing arts centers and symphony halls across the continent. Tour highlights for these Four Broadway vets and their powerhouse Seven piece band recently included a triumphant return to their “Jersey” roots with a live concert special filmed at the New Jersey Performing Arts Center in partnership with PBS. Catch the 90-minute show, captured in high-definition by Grammy and Emmy Award winning team Pierre & François Lamoureux, on public television stations to broadcast nationwide.Following the development of Jersey Boys and historic three season run on Broadway, THE MIDTOWN MEN are lifting audiences to their feet in venues across the continent, realizing the dream they brought to life as the iconic Four Seasons. 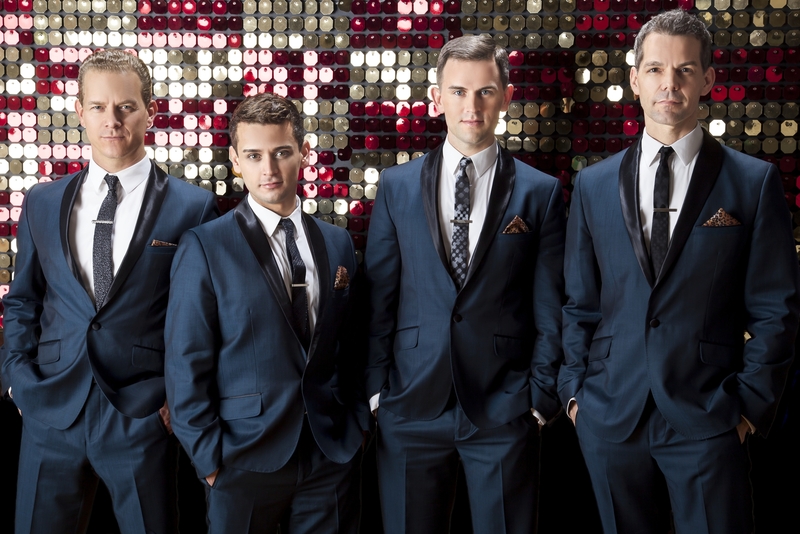 THE MIDTOWN MEN is the next chapter for these accomplished entertainers, making them the first vocal group ever formed by the principal cast of a high-profile Broadway show.